As we’re watching a movie, we respond to the action on screen, the effects that the director uses to make the story move, and the music that ties it all together. The musical score of a movie is one of the most underrated aspects of a movie’s direction, and it’s something that any good director takes seriously. 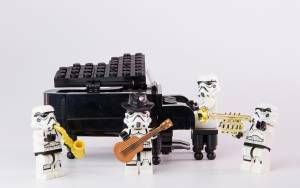 There have been so many incredible producers and composers who have worked solely in film for their entire career, and even if we don’t know their names, we’ve heard their work. Today, we’re bringing you a list of some of the best movie soundtracks of all time. Although it may not seem like you need a degree to be a good actor, there are some that are secretly extremely highly educated, and who still pursue their academic interests even after hitting the jackpot in Hollywood. Here are some celebrities who you may not have realized are very highly educated. Since they’re on the air for years at a time, producers frequently use current events to engage the audience. 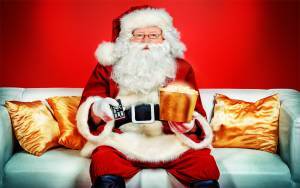 One common element of many TV shows on the air today are holiday episodes, where we get to see how our favorite characters celebrate the festive season. Let’s take a look at some of the best holiday episodes from our favorite TV shows. Iconic band Queen has been on the forefront of everyone’s minds lately. 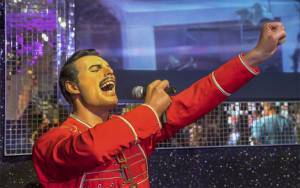 The sudden resurgence in popularity is likely due to the movie Bohemian Rhapsody, a biopic about Queen front man Freddie Mercury that opened in October 2018. Although this is the first movie about the band’s development, Queen and lead singer Freddie Mercury have been a huge part of pop culture from the moment their eponymous album debuted in 1973. The movie, which tracks Mercury’s life until the band’s Live Aid concert in 1985, is full of the band’s greatest hits. Today, we’re going to explore some of Queen’s best songs, and the reason why they’ve stayed popular for decades. Although high-profile couples often follow the same paths, there are some that traverse it quicker than others. From their first public outing together, which is usually to some gala event, all the way to the flashing of the engagement rock (which also usually takes place at some gala event) and the expensive, paparazzi-snapped wedding, it’s a solid Hollywood tradition to pack as much as possible into a dizzyingly short amount of time. Whether that’s to avoid the paparazzi or just because the market for singles in Hollywood is too brutal to stay in for long, us ordinary mortals will never know. With the long winter looming ahead of us, and the fleeting days of summer fast receding into memory, it’s time to start preparing for what we’re going to be doing on the days where it’s just too cold to leave the house. Sure, you can binge-watch the latest Netflix series — or you can dig into a really interesting book series that’s a proven classic. The book series that we’re bringing you today are all tried-and-true favorites, and some have been enjoyed by generations of readers. 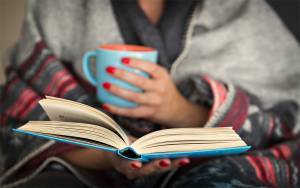 Here are some of the best book series that are perfect to curl up with on a long winter’s night. One of the most popular topics for blogs is food. 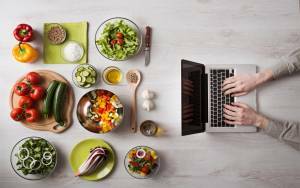 Whether you’re looking for everyday dinner inspiration or dreamy dishes that look like they were a collaboration between a professional chef and a food photographer, there are lots of choices out there for you. Some of our favorite food blogs have been online for ages, but there are more popping up every day. Many stores now sell their own versions of Advent calendars, which are usually a simple rectangular shape with perforated windows that hide a small piece of chocolate. 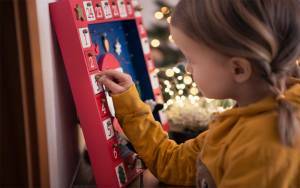 However, some stores are now selling upscale Advent calendars geared to adults that feature small bottles of alcohol, beauty supplies, or other treats. Here are the best adult Advent calendars of 2018. Nov 30, 2018	| Yu-Gi-Oh! If you’re looking to start collecting cards, take our advice and either get in early, or don’t step into the ring until you’ve got enough money to really throw down. Many collectible cards, whether they’re baseball cards, Pokémon, or Yu-Gi-Oh!, put a huge value on rare or early cards, both of which cost a lot of money. 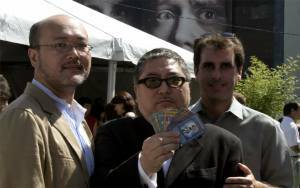 Although you will hear the occasional story of someone coming across a rare card at a garage sale or in a tiny, unassuming shop for a small amount of money, these situations are impossible to predict.